OSWEGO – District 7150 Governor was a recent guest at Oswego Rotary. 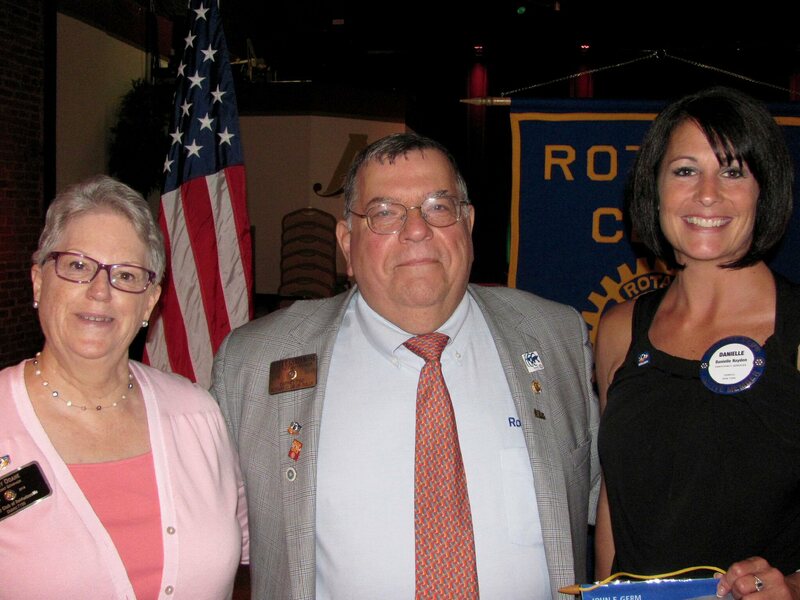 Pictured are: ADG Jenny Doane, DG Peter Cardemone and club president Danielle Hayden. Peter Cardemone from the Tully club will guide our district for the next year taking office on July 1. By his side is Area 5 Assistant District Governor Jenny Doane from the Baldwinsville club. He gave a brief presentation of his 2016-2017 goals for the district and then turned the meeting over to Oswego club members to ask questions and chat about Rotary International and our theme for the year – Rotary Serving Humanity as the most worthwhile thing a person can do.